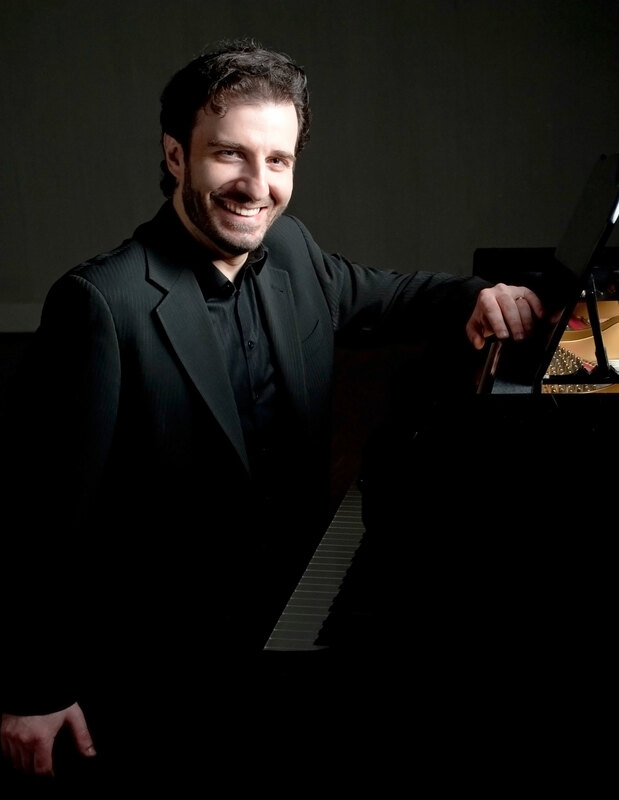 Canadian pianist and composer Serouj Kradjian has established himself as a versatile artist whose readiness to break new boundaries and explore different styles has made him an exciting voice on the international music scene. The New York Times has described Juno-award-winning and Grammy-nominated Kradjian’s playing as a “persuasive balance between elegance and spirit,” while the Frankfurter Allegemeine noted that he has “a fiery temperament and elegant sound” with “technique to burn.” Mr. Kradjian has appeared with the Toronto, Vancouver, Edmonton, Madrid and Göttingen Symphonies, the Russian National Orchestra, the Armenian Philharmonic and the Thailand Philharmonic. Solo, chamber music recitals and premieres of his compositions have taken Mr. Kradjian from all major Canadian cities, via the U.S – New York (Carnegie Hall), Boston (Jordan Hall) , San Francisco , Miami, Chicago and Los Angeles – to European concert halls in Paris, Munich, Salzburg, Trondheim, Lausanne, Geneva, Madrid, Barcelona and Bilbao and to the Far East in China and Japan.. He is regularly invited to the Ottawa, Bergen, Savannah , Colmar and Cortona music festivals. As a collaborative artist, Kradjian has appeared in concert with sopranos Dawn Upshaw, Isabel Bayrakdarian, baritone Russell Braun, tenor Michael Shade, violinists Lara St. John, Jonathan Crow and Ara Malikian, violist Kim Kashkashian and the Pacifica, Cecilia and Arthur LeBlanc String Quartets. Serouj Kradjian’s discography includes the acclaimed Transcendental Etudes and Piano Concerti by Franz Liszt, and Robert Schumann’s three sonatas for violin and piano (with Ara Malikian). With Isabel Bayrakdarian he recorded songs by Pauline Viardot-Garcia, which brought the two artists international accolades and a 2006 Juno award for Classical Album of the Year. With the Amici Chamber Ensemble, of which he is co-artistic director, he has recorded Armenian Chamber Music and Levant which won the Juno for Best Classical Recording in 2013. His explorations of tango and flamenco music have led to the critically acclaimed recording project “Tango Notturno” and the North American concert tour of “Reimagining Flamenco” with virtuoso flamenco guitarist Grisha Goryachev. 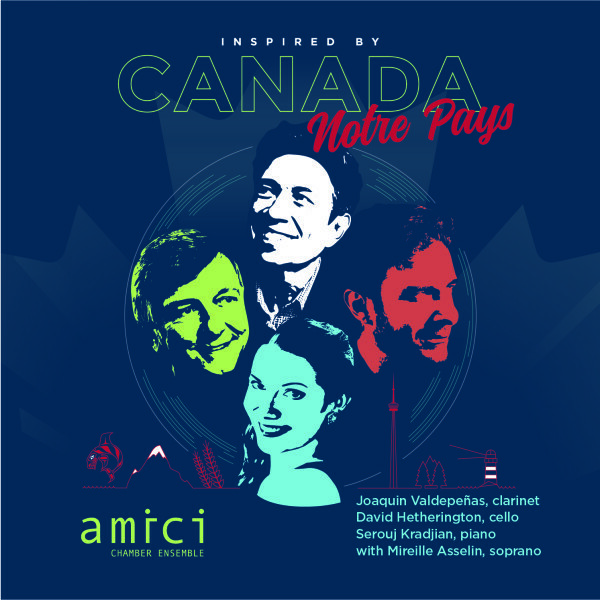 Works composed or arranged by Serouj Kradjian have been performed by I Musici de Montréal, the Vancouver Symphony and the Elmer Iseler Singers. His 2008 orchestral arrangements of folk songs by Gomidas, Armenia’s national composer, featured in the Nonesuch release Gomidas Songs earned him a Grammy award nomination. Trobairitz Ysabella, a song cycle for soprano and orchestra, inspired by medieval women troubadours, was a commission by the CBC and premiered by the Manitoba Chamber Orchestra in 2011 and included in the Juno-nominated recording “Troubadour and the Nightingale” also featuring his orchestrations of songs by Maurice Ravel and Sayat Nova sung by Ms. Bayrakdarian and Anne Manson conducting the MCO. In April 2015, Mr. Kradjian’s new composition “Cantata for Living Martyrs”, dedicated to the centenary of the Armenian Genocide, was premiered by the Fresno Philharmonic and Chorus.